Interview is a two way process. 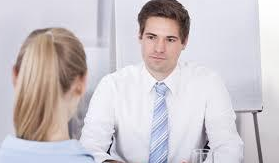 For effective performance at interview get ready for somecommon interview questionsasked. Follow someinterview techniquesto beat the interviewers. - What will my salary be? - Will I have to work long hours? - How soon can I take a vacation? - Will I have an expense account? - How quickly could I be considered for a promotion? - What happens if I don't get along with my boss or coworkers? - What are benefits like? - When will I be eligible for a raise? - Can I arrive early or leave late, as long as I get my work done? - Are you married?/Do you have kids?/etc. - Do you check social media accounts? - Do you do background checks? - Do you monitor emails or internet usage? - Will I have my own office? - I heard this rumor about the CEO. Is it true? - What are grounds for termination? - Can I make personal calls during the day? - How did I do? - Did I get the job?